McDonald's is betting big on tech with new investment — Secret Sauce - Tech news, explained. MceeDees is getting serious about tech investment. 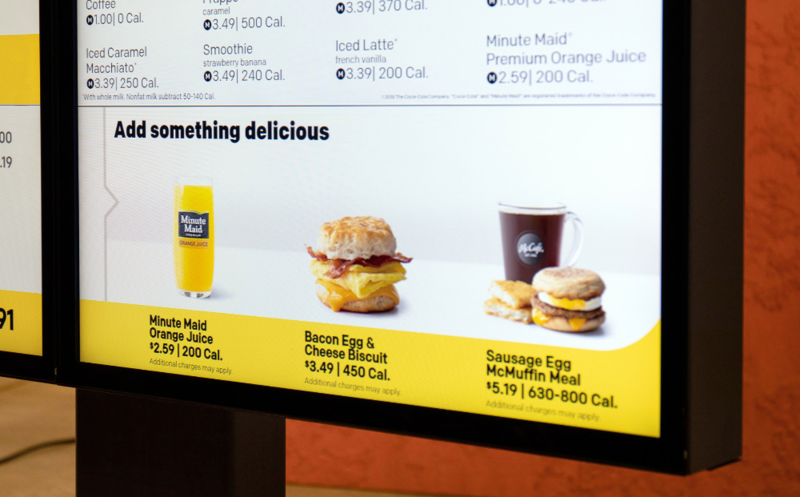 In a recent earnings report CEO Steven Easterbrook told investors the company plans to spend $1 billion in 2019 on upgrades to 2,000 US locations with digital menu boards and self-serve kiosks (which not everyone approves of). How does Dynamic Yield fit in? Dynamic Yield’s personalization technology will be integrated into McDonald’s drive-thru windows (where 70% of the business is) -- think automatically featuring a McFlurry when it’s hot out. While McDonald’s probably isn’t the first company that comes to mind when you think of cutting-edge technology, they’ve made big moves to modernize recently -- the company’s mobile app has over 20 million users and they are quickly expanding their “McDelivery” partnership with Uber Eats. McDonald’s isn’t the only fast food player betting big on new tech. In February of last year, Yum Brands (owner of Taco Bell, Pizza Hut, KFC) invested $200 million in Grubhub in an effort to push more delivery orders to its brands. And let’s not forget about Taco Mode, the genius collaboration between Taco Bell and Lyft that let riders make late-night drive-thru pit stops. These partnerships have been huge for both sides. Uber Eats has become a cash cow for the money-burning machine that is the wider Uber operation and Taco Bell is one of the most popular restaurants on Grubhub. The Takeaway The fast food industry is leveraging smart investments in marketing tech (Dynamic Yield) and strategic partnerships with logistics companies (Grubhub, Uber Eats) to navigate headwinds from the rise of fast-casual dining. 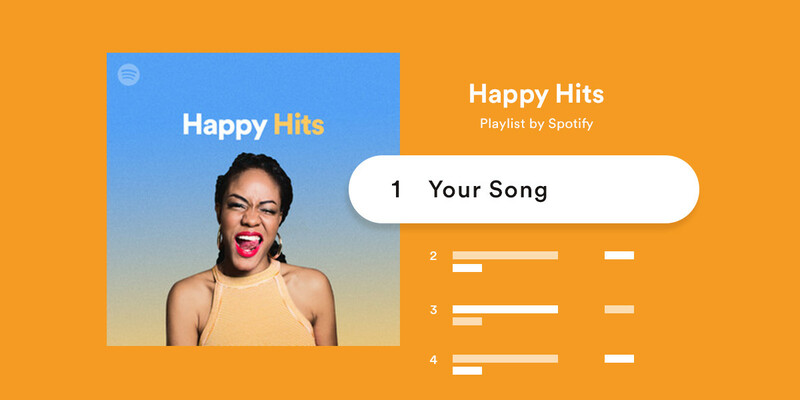 Spotify announced yesterday it was auto-personalizing more playlists - including playlists that were formerly curated by real people. This is a big deal, considering 30% of all listening on the platform is through Spotify-created playlists. In short, because people like being exposed to more artists. Just a month after Spotify’s acquisition of podcasting companies Gimlet and Anchor, they’re at it again. Yesterday the company announced it was purchasing the LA-based podcasting studio Parcast, which focuses on creating true crime and mystery stories. Uber is dropping $3.1 billion to acquire Careem, its rival in the Middle East. Careem runs ride-sharing in the MENA region, operating in 15 countries from Morocco to Pakistan. 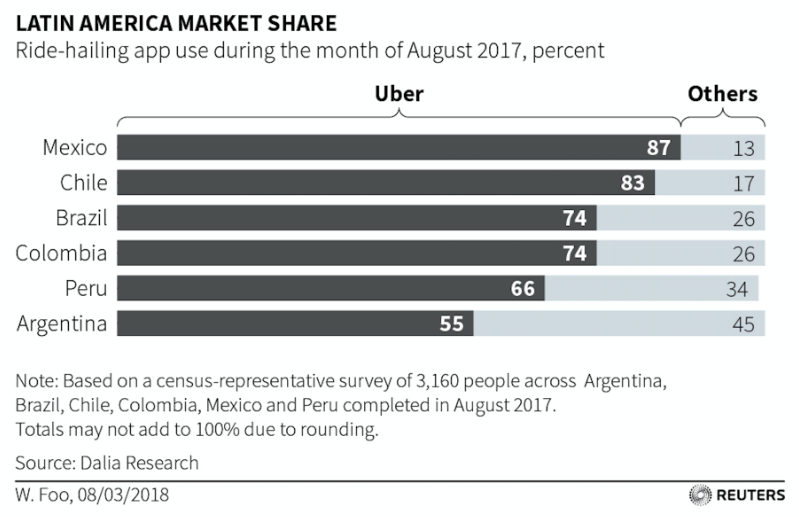 Over the last few years, Uber has been slowly retreating from international markets it doesn’t think it can win (Southeast Asian, China, Russia) and doubling down in a few select markets it thinks it can (Latin America, India, and the Middle East). With the Middle East locked down via the Careem acquisition let’s see how Uber is doing in Latin America and India. That being said, last year Didi (the Chinese ridesharing mega-unicorn) purchased Uber’s largest Brazilian competitor and has no plans of being cut out of Latin America. India is a massive market for Uber, making up 10% of the company’s rides. Uber is locked in a fierce competition with local Indian company Ola and at the moment Uber is behind. Estimates from last year put Ola market share at 45% and Uber at 35%. The real winner in India looks like Softbank -- the Japanese superfund has made significant investments in both Uber and Ola.